The 9 Best Milkshakes in Utah! A milkshake always manages to hit the spot. Not just anyone can make a killer shake. There’s no question that some are better than others. If you want some creamy goodness without having to sacrifice anything, look no further. We’ve compiled the best milkshakes in Utah for your gustatory pleasure. If someone mentions Bear Lake, it’s hard not to think about Cache Valley’s second most famous attraction: the fresh raspberry shakes at LaBeau’s. Yes, the lines are long, but the shakes are excellent. Oozing with tradition, La Beau’s doesn’t have to do anything major to attract hoards of hungry fans. One taste and you’ll understand why. First established in Salt Lake City in 1960, Iceberg Drive Inn has since spread throughout Utah, as well as to locations in Arizona and California. 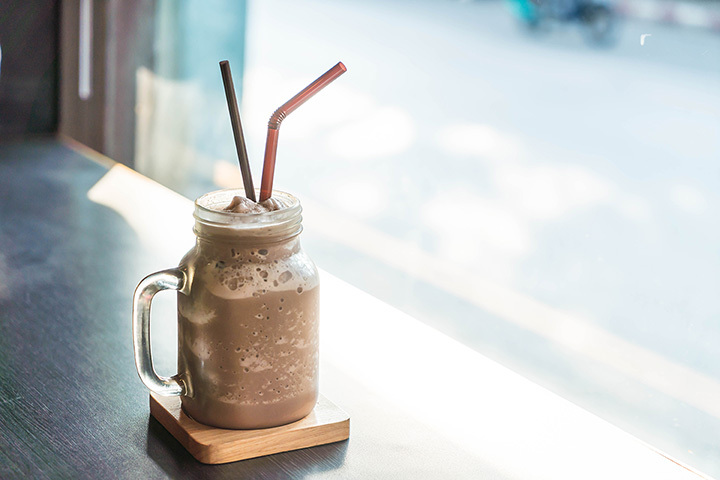 Home to some seriously thick shakes, Iceberg has almost too many flavors to choose from, meaning that if you’re a local, you’ll probably be coming often. Voted “Best of State Shakes” several times (and most recently in 2015), Dairy Keen isn’t exactly a Utah secret. In fact, it’s more of a required stopover where you can pick up some solid grub along with a shake to wash it all down. The restaurant itself is quite a spectacle, so if it’s your first time, you may want to consider eating in for a quintessential Utah experience. In business for over 50 years, Shivers is another Utah classic. With over 80 different shake flavors, it’s difficult to narrow down exactly what you want, but that’s probably part of the reason people have been going there for so long. This restaurant is a favorite of children, because like Dairy Keen, it has a train theme that seems to fascinate the little ones. Millie’s Burgers is another old-fashioned burger joint that is famous primarily for its fried zucchini and milkshakes. If you want something really special, try the strawberry coconut milkshake as you simultaneously relish the restaurant’s friendly atmosphere. Rodger’s Dairy Freeze is about as old-fashioned as it gets. The joint is most famous for its “Bishop Shake,” which combines strawberries, pineapple, bananas and nuts into a refreshing, fruity concoction. If that doesn’t suit your fancy, there are plenty of flavors to choose from and a whole lot of tradition to go around. Given that the Utah desert is exceptionally hot and dry, a summer milkshake in Moab is easily one of life’s sweetest pleasures. And while Moab Diner’s shakes are thick in the beginning, they’re well worth the journey as it becomes more sippable when it warms up. Not only does this mean that you get the best of both worlds when it comes to shake consistency, but that you’ll have to remember to bring a spoon and a straw. Another favorite Moab location, Milt’s Stop n’ Eat is always packed with tired hikers, bikers, and campers. And while there aren’t as many flavor options, they do everything to the highest level of quality. Maybe you wouldn’t expect a Mexican restaurant to have good shakes, but Taco Amigo surprises milkshake lovers in the best of ways with its seasonal, fresh fruit shakes. Of course, the other flavors are also delicious, but the premium fresh strawberry shake (available from June to July) and the premium fresh peach shake (available mid-August to September) are pretty hard to beat.